B is for breakfast, brunch.. what are your rituals around the first meal of the day? How do you spend your time when you’ve just woken up? Most people acknowledge that Breakfast as a meal is important. But I think it is actually so much more. Instead of taking the stance on breakfast and its role in weight maintenance which reminds me of work, I think I’d rather comment that I’ve noticed that it is highly important that you are focused on something in the morning. Starting your day well is important. Having a routine, or a ritual amount of things to focus on. Its a good way to start the day. One of my clients said recently, “if I don’t have something in the morning, I tend to run into a bit of trouble at the back end of the day”.. meaning – he turns into a big grazer as his body drives him to eat to make up for lost time.. sound familiar? I’ve started going to the gym more regularly and I am finding I am very hungry in the mornings now. This is not a problem though, as I do to love to eat! Todays breakfast is two slices of toast and cereal. Coffee, and my vitamins. A look at the paper. It may not sound like much, but its my wake up routine, its how I gear up for the day. I eat to my appetite for the day and the training I’ve been doing. Oh, and then there is the weather. At the moment its pretty cold here in Sydney, so I’ve been focused on warming foods that will take me out the door tummy happy. Cereal and cold milk is out. 1. 2 free range eggs, fried in a non stick plan with a small slick of sesame oil. 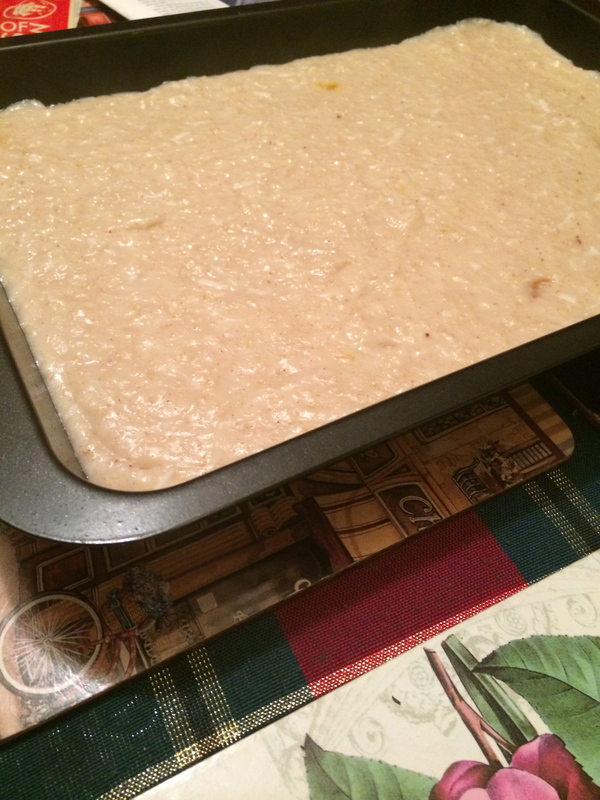 2. porridge or oatmeal (depending on your hemisphere), flavoured with cinnamon, brown sugar, and salt. I’ve been making a tray of oatmeal once a week and dividing it up into ‘slices’ that I can serve myself like a pudding through the wintery mornings. Todays one is apricot, cinnamon and coconut – and I’m really looking forward to eating it tomorrow! 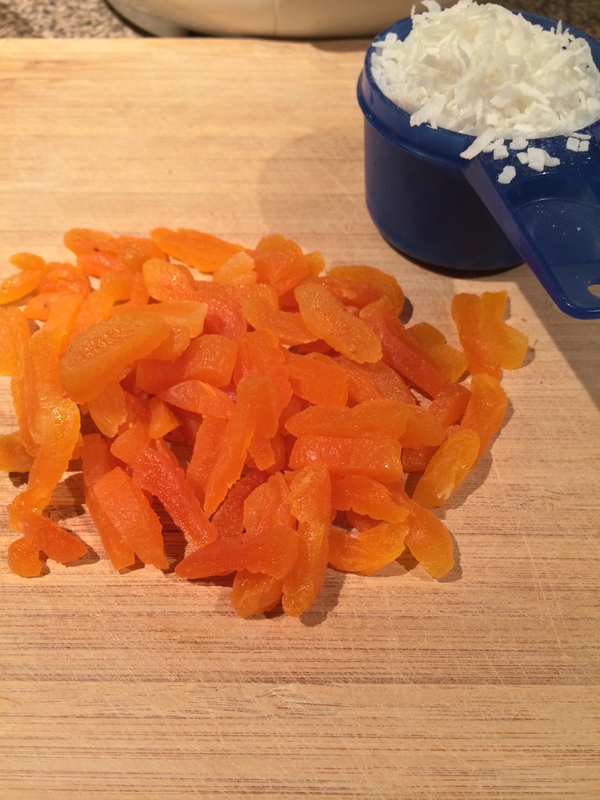 I prepared half a cup of coconut flakes and about the same (ok maybe more) of chopped dried apricots. Pop these in a pot with 2 cups oats and 2 cups water. Bring to the boil. Add a 1/2 or more if you want it super cinnamon-y (i added about 1 teaspoon as I like a lot), and also add milk if you want to boost the protein content of the porridge. Bring to the boil, and add a sprinkle of salt to taste. I don’t add sugar in when I am cooking the porridge as I like to see the brown sugar melt in the minute before I eat it. Pour into a bowl or empty tray, or cake tin, and set overnight. Cut a slice in the morning, and dress in a bowl with milk and sugar. Heat to serve! You could also use coconut milk to make it more coconutty to the max if you like. I avoid coconut milk and cream as much as possible because I have a family history of cardiovascular disease, and the addition of coconut flakes here is really enough for me. The next post I am writing is one on breakfast and how useful it is. And all my favourite types and styles of breakfast foods. Australian life wouldn’t be anything without a weekend beach walk. I am lucky to live on the East coast near the water and having a morning walk is something I like to do often when the weather permits. 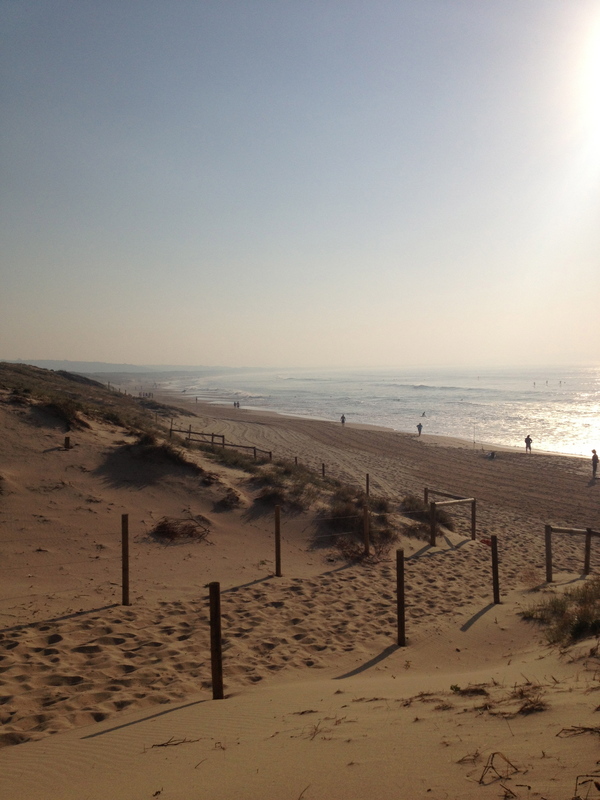 Walking by the sea is naturally so good for you, wouldn’t you agree? Theres just something about the salty air and the sounds of the beach that can really be soothing and uplifting. Its pretty chilly for a beach walk now that its winter, but I always like to look over my summer photos to remind me that it won’t be long till the warmer weather is here! 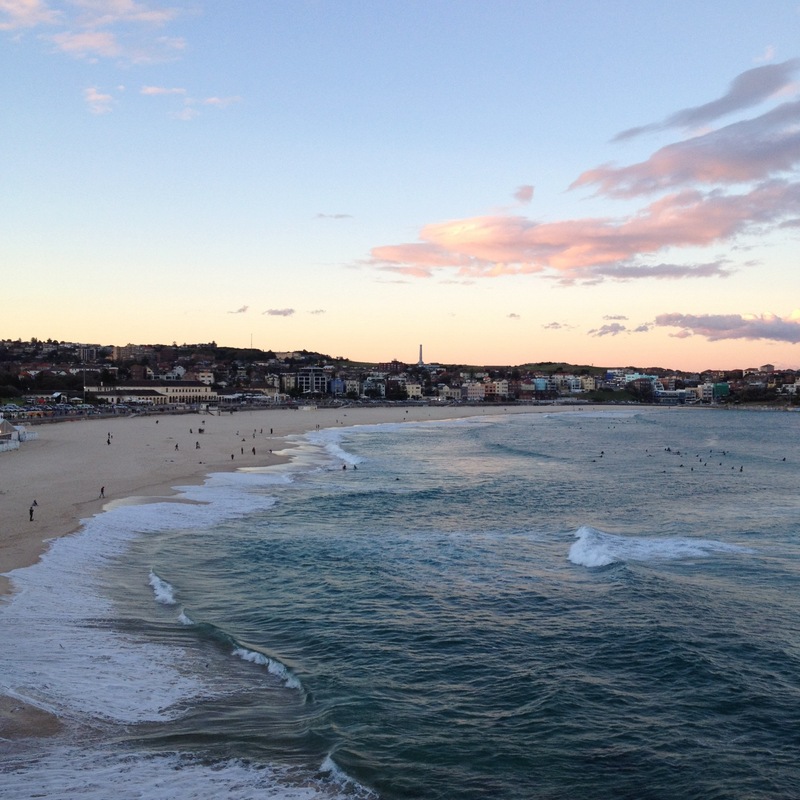 Heres another great pic I took out at Bondi last summer – this day was so awesome. Friends, sun, and beach life.. I have decided to write an A – Z on food/diet topics, and the first post I am going to make around this is on Avocado. My friend Carlos (who sounds Spanish but is actually Malaysian Chinese) asked me a question about avocados and their role in weight loss, around the topic of clean eating a couple months back and I’ve been thinking about this ever since. So why are we so obsessed? What are they good for? Raw food diets, breakfast, cardiovascular disease or weight loss diets (in sensible portions of course), the obvious raw food meals like salads and not so obvious but more unusual substitution in sweets i.e.. in chocolate mousses or smoothies for example. Its a bit versatile, and can be classic or unconventional – and I think thats what we like about it, besides its good creamy taste which is actually healthy for you. How to enjoy Avocados? Replace traditional spreads like butter or margarine with the green goodness – on bread, toast or sandwiches. Blend it in a smoothie with almonds and oatmeal, mash it into potatoes, or mix it into cake batter or icing. The options are great, and the health benefits are worthwhile. Good for you. And so green.